I am a brass specialist here at Bowie. 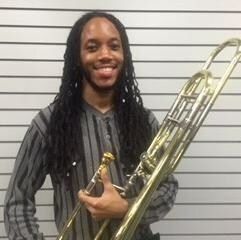 I recently graduated from Frostburg state with a performance degree in trombone. I also have a jazz minor in piano. Currently I freelance with various artist and regularly record as a studio session musician. Whatever questions you have feel free to ask I am here to help! We look forward to seeing you here at Bowie!